That is the Electronic Filing link for the US Government. You go there, and directly there, if you want to do a paperless filing. It will cost you $35, which means that you will wind up saving $30. It costs $65 to file with paper forms. 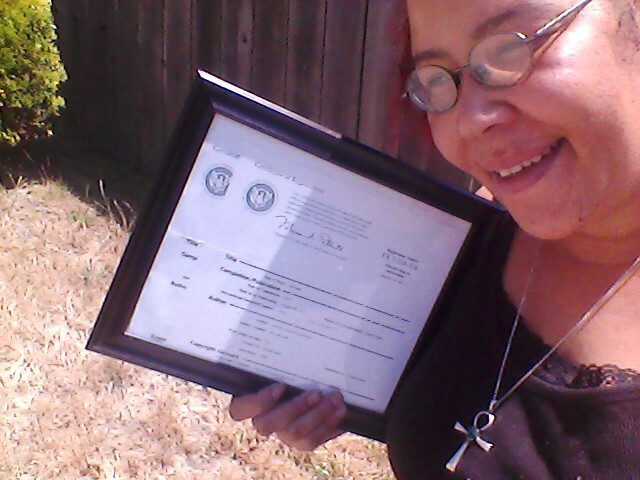 Me holding my copyright certificates in a frame. You can just file them. You don’t have to put them in a frame like a total dork, just because I did. You will notice (hopefully) that I have more than one of them in that frame. They have a 3 fold and come in a letter size envelope. See the seal in the upper corner? There are two seals, that’s how you can tell there are two of them. Yes, it’s still Literary Art even if it IS Horror, smarty pants. You can send in a manuscript of a pre-publication stage work of Literary Art, or you can send in two hard copies for the Library of Congress (of course I did it: you know, who doesn’t want their book in the Library of Congress?). If you have published it as an eBook, you can even upload the file. But I am going to leave the rest of this up to you, since the U.S. Copyright Office gives you instructions. I just wanted to give you the right link, so you wouldn’t mess around with any scam artists who want to charge you extra to use their website as a portal. 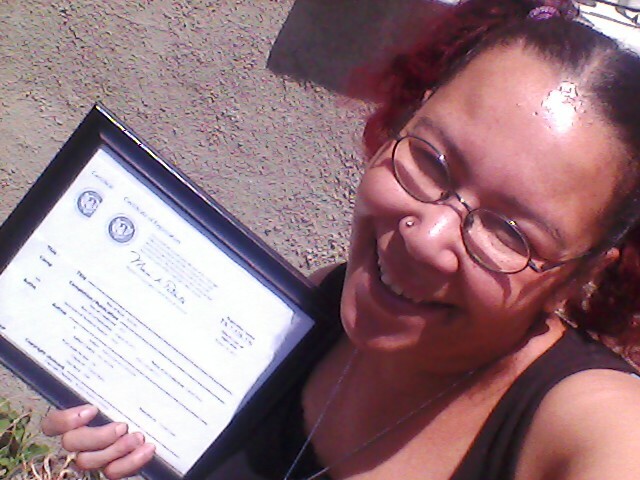 Soon, you too.. like me, can post dorky photos of yourself smiling with your Copyright Certificates. A totally natural photo of me and my copyright certs. Posing? Who, me?